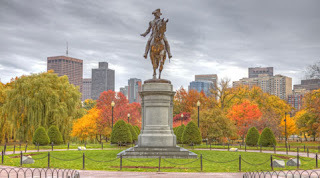 During the Golden Age of Piracy, Boston was the largest English city in the New World. It was a center of religion, politics, commerce, end education in the New England region of what is now The United States. And for much of its history, it was a haven for pirates. The area of Boston has probably been inhabited for as long as 7,000 years. Archeological evidence suggests that it was fishing that made the area attractive. Giant fishing weirs, a type of permeant fish-trap, were built into the water, and maintained for centuries. 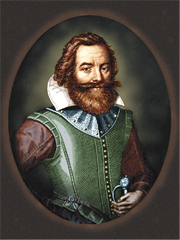 The area was officially discovered by soldier, adventurer and part-time pirate John Smith, the same man who figures in the Pocahontas legend, in1614. 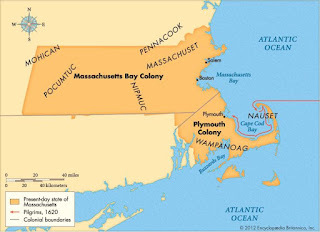 In 1620, the Puritans, a group of Protestants who were persecuted in England for their harsh religious views, founded the Plymouth Colony just south of Massachusetts Bay. This legendary group gave us many of the stories and traditions visible in out Thanksgiving celebration. Just as legend holds, the early colony was not financially profitable. Because of this, colony shareholders who lived in England were willing to sell their shares at a discount to the shareholders who had actually chosen to emigrate. Many colonies were founded in the region between 1620 and 1639, some of which thrived, many of which failed, being abandoned, or merging with other colonies. In 1628, the Cambridge Agreement was signed in England among the Puritans of the Massachusetts Bay Colony. The agreement established the colony as a self-governing entity, answerable only to the king. 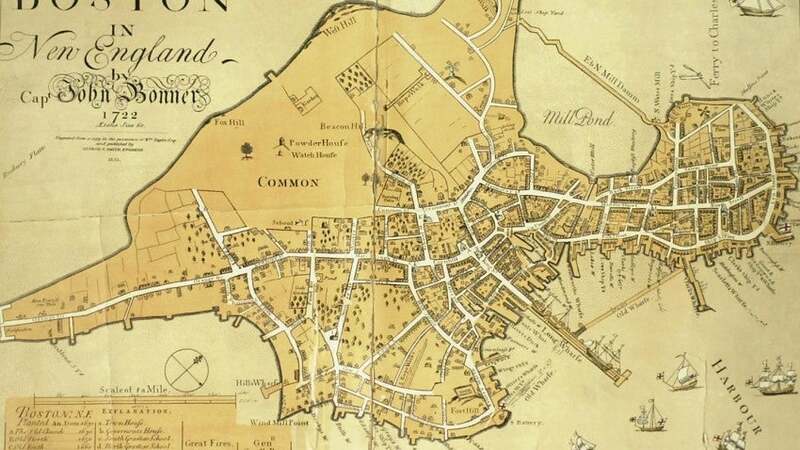 The official settlement of the city of Boston took place in 1630, by a group of settlers who had rejected nearby Salem (later home of the Witch Trials) for lack of food and Charlestown for lack of good water. From the beginning, religion played an important part of the town’s life. In order to vote or take a role in government, men had to pass an examination with religious leaders, and be accepted into the local church. The official founding of the town was September 7, 1630 and it was named after town of Boston, in the English county of Lincolnshire, from which several prominent colonists emigrated. From the beginning, settlers believed that they had a special convent with God, and they celebrated this by persecuting unbelievers, and also by establishing schools. The Boston Latin School was founded in 1635, and Harvard University in 1636. Boston benefitted from its excellent port, which became a trading center for such things as the fur and timber trades from the north and cotton, sugar, logwood and molasses from the Caribbean. The first American distillery was set up on Staten Island, Boston, in 1664. For a time, rum was even an accepted form of currency. 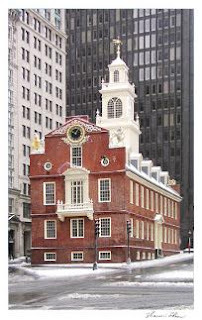 Boston also became a center for the American slave trade. 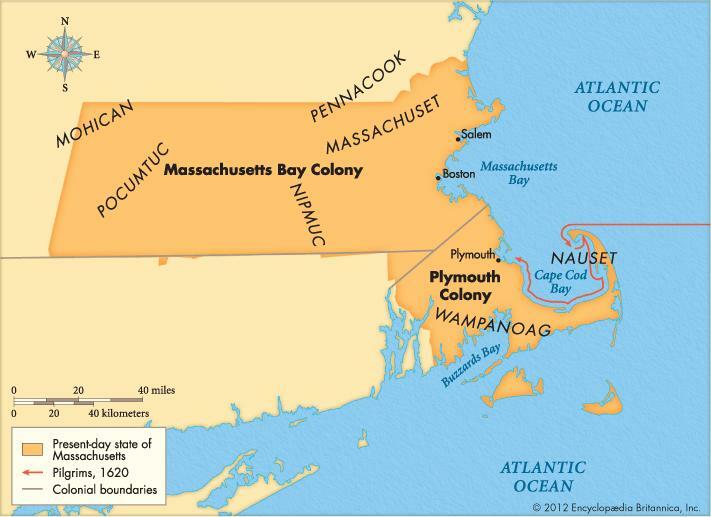 Early slaves were Native Americans captured in local wars (most notable the Pequot War (1636-1638.) These slaves, which posed a danger of re-capture by local natives, were traded for Africans. Trade in slaves reached as far as the pirate island of Madagascar. By 1708, the number of salves in Massachusetts was figured at 550. By 1715, it had risen to 2,000. Overall population grew quickly. In 1640 the population was 1,200. By 1680 it had reached 4,500, and by 1720 reached 12,000. In contrast, New York City did not reach a population of 12,000 until 1740. Six smallpox outbreaks took place from 1636 to 1698. Then in 1721–22, the most severe epidemic occurred, killing 844 people. 5889 people out of a population of 10,500 caught the disease, 14% died, and at least 900 fled the city, thereby spreading the virus. Colonists tried to prevent the spread of smallpox by isolation. 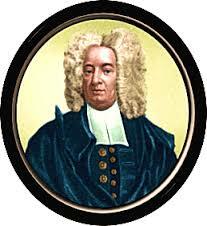 For the first time in America inoculation (introduced by Zabdiel Boylston and Cotton Mather) was tried. This primitive form of vaccination caused a mild form of the disease, but was very controversial because of the threat that the procedure itself could be fatal. 2% of those who were treated died. 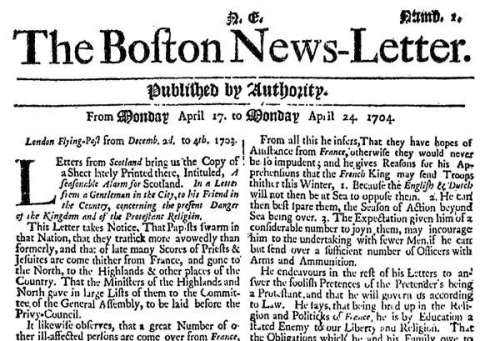 Boston was also home to the first English-language newspaper in the Americas. 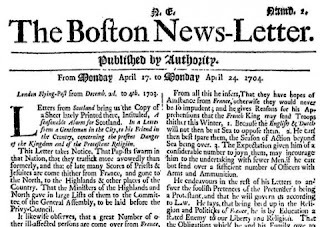 The Boston News-Letter was published by John Campbell, the city’s postmaster, who developed a network of correspondents along the New York, Philadelphia, and Portsmouth post rider routes, and was the first to receive mail and information from newly-arrived ship captains. Campbell devoted considerable coverage to the activities of the pirates, providing a wealth of information for later researchers. Although no specific trade in pirated goods was recorded, it is safe to assume that a certain amount of illicit trading took place in this bustling port, with its connections to both Madagascar and the Caribbean. Pirates of the time often claimed that their undocumented goods were “salvage,” taken from distressed ships who needed to lighten their own load because they were in danger of sinking. The only verified connection to Golden Age pirates was the incarceration of the survivors of Black Sam Bellamy’s famous pirate crew. After a disastrous storm that destroyed Bellamy’s pirate fleet, The surviving pirates that had been apprehended on Outer Cape Cod were brought to Boston overland under heavy guard. 1717, found guilty, and hung on the mudflats of the Charlestown ferry landing (now filled in) on November 25.
damnation. He did not, however persuade any of Bellamy’s men to recant. Boston went on to have a rabble-rousing role in the American Revolution. Boston was an acknowledged center of smuggling, and did not take kindly to British efforts to shut down this lucrative trade. It was home of both violent protests against the Stamp Act and the Boston Tea Party. British retaliation against this latter, the shutdown of Boston Harbor, was the incident that inspired the formation of the Continental Congress.